Obamacare REPEAL? 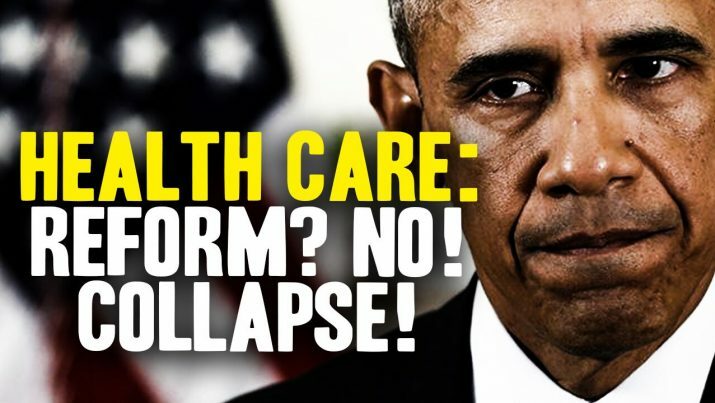 It’s more like health care system COLLAPSE! The pharma prostitutes in Washington D.C. (i.e. “legislators”) are currently in the process of attempting to “repeal and replace” Obamacare. But unless we deal with the causes of all the sickness and disease in America, it’s a useless effort that will only end in health care COLLAPSE. No nation can economically survive an ever-more-powerful medical regime that preys upon sickness, suffering and disease to boost its corporate profits. Sadly, the “business of sick care” is so incredibly profitable that it can never be meaningfully reformed by the very same lawmakers who function as nothing more than legislative whores for the for-profit medical cartels. That’s why the health care system as we know it today is ultimately headed for COLLAPSE. It may be dressed up as “reform” in the short term by pharma-corrupted lawmakers, but the entire system is still based on the idea of powerful corporations making money off disease and thereby making sure nobody stays healthy or avoids chronic disease. Disease is just too damn profitable for the powers that be to give up the revenue stream. They don’t want Americans to get healthy and avoid hospitals, cancer clinics and pharmacies because that would lose them hundreds of billions of dollars a year! And that’s why this is all headed for collapse… because nobody in Washington is even talking about how to prevent sickness and disease. Instead, they’re all running around spouting off about who pays for all the disease treatments.